Established in 1976, Ophir Optronics is a global leader in precision infrared optics, photonics instrumentation and 3D non-contact measurement equipment. The company develops, manufactures and markets top quality products that are based on the most advanced technologies and are renowned for their quality and reliability. Ophir’s Photonics Group is the worlds largest and leading supplier of laser instrumentation, including laser power and energy meters and laser beam profilers. Fully focused on laser measurement, the Group’s modular and customized solutions serve industrial, medical and research markets throughout the world. Ophir’s network of calibration centers enhances customer productivity and efficiency while cutting costs. Optek is official representative of Ophir in Latvia. We frequently visit potential customers to introduce them to Ophir products capabilities and demonstrate Ophir equipment.Ophir products are used in University of Latvia (UL), UL Institute of Solid State Physics, UL Institute of Physics, Institute of Atomic Physics and Spectroscopy, Riga Technical University, Daugavpils University, company Z-light, and others. Optek staff has extensive knowledge about laser measurement tools. If you would like to know more about Ophir capabilities, wish to see Ophir products in action, or simply need a consultation about laser measurement, please, contact us, we will be glad to help. 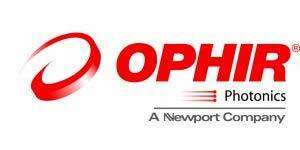 For more information visit www.ophiropt.com or contact us at info@optek.lv.